One of the things that France has always done is to capture a beautiful woman in a way that makes her a symbol. Their love of a symbols extends to the very personification of “Freedom” the symbol of France. Her depiction by artists and painters has always moved the French people. But a real breathing symbol has always been a better idea and that’s why Catherine Deneuve was a symbol for French Elegance and the face of Chanel. Her unique beauty combined with the power of her performances have always made film history. Catherine Deneuve also taught women to age well, as the French generally do. When Marion Cotillard won her Oscar, she became the new symbol of France. 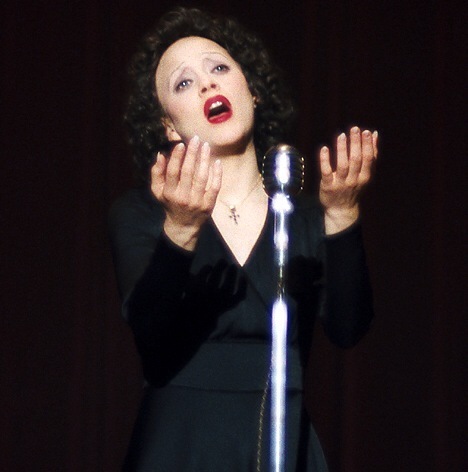 She played the role of a lifetime as Edith Piaf, a figure endeared by the French people. When she was annointed by Dior, Ms. Cotillard entered the annals of fashion history. The combination of myth mixed with a brand story is a powerful combination. That is why luxury brands work very hard to endear you to either a lifestyle, a history of the founder or if they don’t have that; craftsmanship and materials. These work together to create the roots of a luxury brand. We can’t say that an actress or actor is a luxury brand; but their body of work is a symbolism of what they stand for which contributes to this unique combination of what makes a powerful thing called “Icon” or “Iconic”. There is no mistake that both ICON and MYTH are Greek Words. Remember, we are talking about the stuff of the Gods when we speak of story and mythology. A brand can have many attributes but if you are connected to a mythology that takes a story to a higher level, then you can achieve something almost untouchable: You can become a Symbol of something greater than yourself, in a sense. That’s why Marion Cotillard has taken over the role of a lifetime: She is now a symbol of all that is glorious and French.